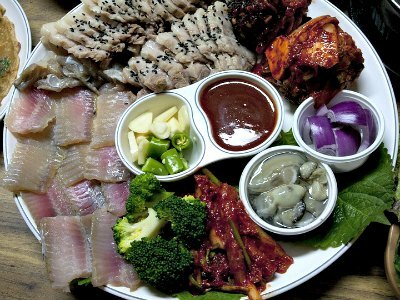 You will like the diversity of Las Vegas Korean restaurants that are perfect for all types of diners from families to groups to foodies looking for the new trendy places to traditional comfort food to Korean BBQ. Families enjoy the no-nonsense atmosphere and traditional comfort food at E-Jo Korean Restaurant as well as Kkulmat Korean Kitchen. If you are looking for an all-you-can-eat serving BBQ dishes then try the Gen Korean BBQ House and the Honey Pig is open 24/7. 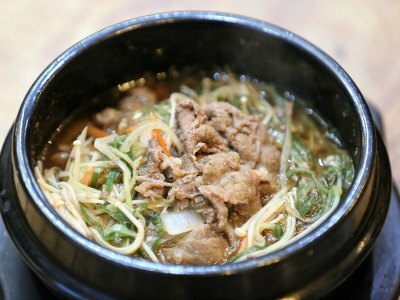 Trendy foodies will be delighted with the quality of meats at 8oz Korean Steak House and the soups at TangTangTang. Upscale diners searching for a lively atmosphere with a la carte menus that range from innovative twists on comfort food to BBQ then Goong Korean BBQ Restaurant, Magal BBQ, the Soyo Korean Barstaurant are ideal and the Hobak Korean BBQ is quite possibly the best of all. When you are ready to visit the most popular Las Vegas Korean restaurant that serves yummy food accompanied by attentive service then you need to go to Hobak Korean BBQ. Located along Spring Mountain Road, the establishment has a lively atmosphere complete with K-Pop music as well as a trendy industrial style interior and is perfect for all types of diners. Open for lunch and dinner, the restaurant brings to the table a mixture of flavorful ingredients to fulfill a meal to remember. People rave about the pork and Black Angus prime beef combinations or you can choose a mixture of your favorite meats from both animals. 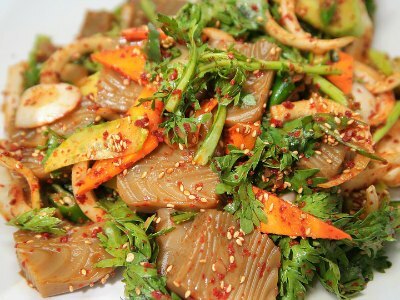 The traditional banchan side dishes are flavorful and you can choose from two to four servings. Other signature dishes from their a la carte style menu include the blow torch finished beef honey tartare, kimchi stew and the spicy pepper paste stew. One of the more elegant Las Vegas Korean restaurants which boasts a traditional BBQ theme and is ideal for trendy upscale diners is the Goong Korean BBQ Restaurant. Located along South Rainbow Boulevard, the establishment sports an elegant modern decor which offers several ways of dining that includes regular tables or a booth setting as well as traditional Korean seating on a raised platform. 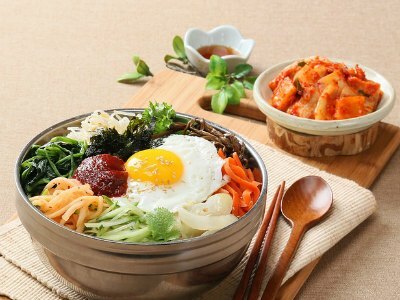 Open for lunch and dinner, the restaurant boasts a varied menu of traditional meals such as brisket with kimchi fried rice, a bibimbap with beef tartare and an oxtail soup as well as bulgogi fried rice. The Goong Special Platter grab the attention of many diners with a beef selection including a succulent wagyu top sirloin, prime boneless short rib, pork belly and pork jowl as well as skirt meat and a few black tiger shrimp. 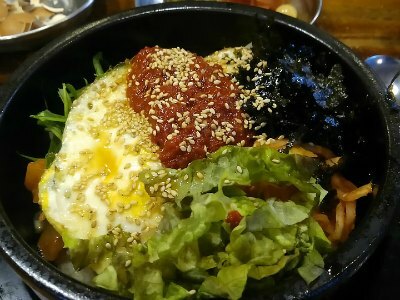 If you are a person that likes to try savory soups and comfort foods then an ideal Las Vegas Korean restaurant for you to visit is TangTangTang. Located along Spring Mountain Road, the establishment offers a no-thrills atmosphere with a contemporary interior of metal, brick as well as wood and is open for lunch and dinner. 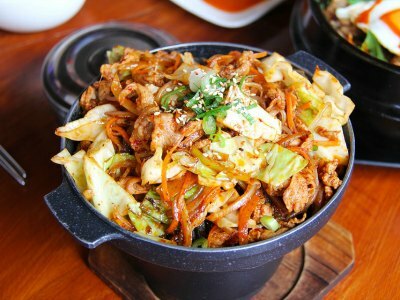 The restaurant serves traditional style Korean comfort food which includes specialties like braised pork belly bossom, hot pots containing kimchi with spicy sausage and pork bulgogi. The real stunner here is the soups such as the ox tail, kimchi dumpling which have a thin broth accompanied by numerous banchan dishes like radish kimchi as well as japchae and there is a refreshing chilled buckwheat noodle soup in the summer which is perfect for a hot day. When you want to visit an upbeat Las Vegas Korean restaurant that serves quality meats and plenty of banchan dishes then the Magal BBQ is perfect. Located along Spring Mountain Road, the restaurant is part of the largest Korean BBQ chain in Korea and sports a loud K-Pop type atmosphere with plenty of video screens. When you are seated you will notice your banchan dishes are waiting which is a plus and the japchae is splendid. The menu offers quality traditional food such as boneless short ribs which are seared with a torch and there is a wide variety of pork belly flavors to please your palate. Combo specials like the Magal are popular which can feed two to four people and the bulgogi is a superb. After eating until your hearts content you can finish with a delicious shaved ice dessert. The Soyo Korean Barstaurant is a solid choice for a Las Vegas Korean restaurant for all diners including families that want decent portions of quality Korean comfort food. Located along South Rainbow Boulevard, the restaurant has a simple urban interior with an ambience of all substance and not glitter. Open for lunch and dinner, the establishment serves an a la carte menu of Korean staples that range from ox tail and tofu kimchi soups to rice cake skewers to BBQ short ribs. As you dine you can indulge in the complimentary banchan dishes as well as a carafe of barley tea. The style of the cuisine reflects the simple attitude with large portions, quality ingredients and plenty of taste. Patrons rave about the grilled mackerel, the bulgogi and the cheese corn with fried rice cakes are a must try. If you want to find a more traditional Las Vegas Korean restaurant that is not pretentious or an all-you-can-eat then the Kkulmat Korean Kitchen is perfect for you and your family. Located along Spring Mountain Road, the restaurant has a simple interior reminiscent of a mom and pop type establishment serving lunch as well as dinner. 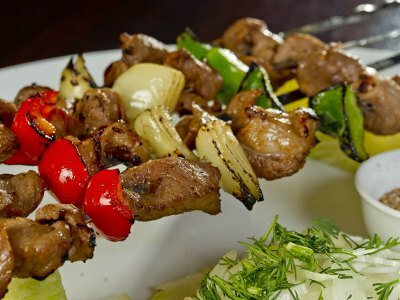 The establishment is geared towards family with generous servings of quality home-made cuisine. The a la carte menu features numerous traditional style dishes such as a rice cake soup with dumpling, ox bone soup and the tofu soup is a pleaser. 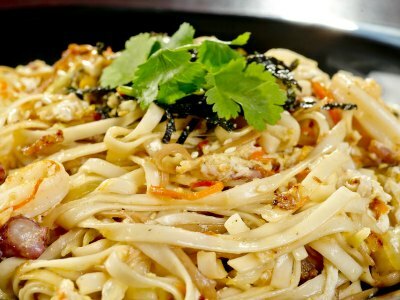 Noodle dishes range from kalguksu to hot pot bibimbab and the kimchi pancake is tasty. Specialty plates like the chicken bulgogi as well as the home-made dumplings stew with vegetables will please your taste buds and you will enjoy the accompanying banchan items that include a stellar kimchi. The 8oz Korean Steak House is an ideal Las Vegas Korean restaurant for diners looking for traditional Korean style BBQ restaurant with a modern twist. Located along Spring Mountain Road, the restaurant has a sleek industrial interior with exposed brick, brushed steel, in-table grills as well as lots of wood. Open for lunch and dinner, the menu concentrates on seven combinations that feature an appetizer, soup as well as accompanying banchan dishes which include pickled radishes that is a favorite. You can also order off the a la carte menu which features seafood, chicken and specialty meats such as tongue, belly and collar cuts. Combo C deserves mention which features a cheese fondue, galbi as well as grilled bulgogi and the cheesecake shaved ice for dessert is a winner. 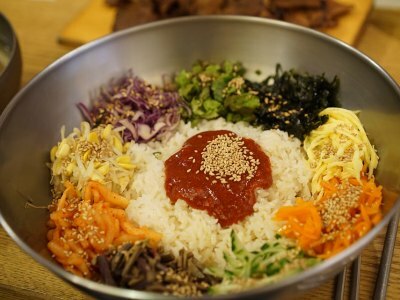 If you are interested in dining at a traditional Las Vegas Korean restaurant which has a simple attitude toward making tasty delights then you should try the E-Jo Korean Restaurant. Located on East Sahara Avenue, the establishment has a modern decor with plain fixtures which boasts a family style atmosphere and is open for all three meals. The menu is does not offer a bunch of selections but instead the restaurant concentrates on what they do best. The establishment specializes in soups and boiled meats which include signature soups include honeycomb tripe soup, oxtail and ox tongue. There is a small variety of noodle dishes available as well as standouts like traditional hot stone pot bibimbap, galbi and beef bulgogi. The accompanying banchan items are limited with a radish and cabbage kimchi as well as numerous shishito peppers you can dip into ssamjang. When you are searching for a Las Vegas Korean restaurant that is open 24/7 with plenty of menu choices then the Honey Pig is an ideal. Located on Spring Mountain Road, this all-you-can-eat (AYCE) restaurant has a modern style interior with plenty of shiny chrome, in-table grills and a bustling atmosphere which is perfect for all types of diners including families. 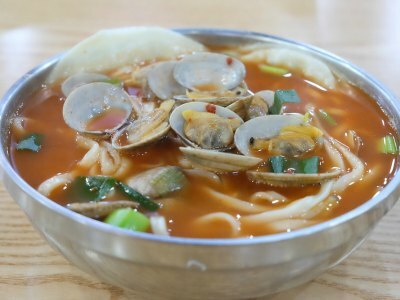 The AYCE menu will limit the amount of dishes you can order which range from galbi (limited to one serving) to spicy chicken to bulgogi to beef tongue and there are a few seafood items such as squid. Favorites like the pork belly as well as specialty cuts of meats such as the brisket hit the mark with diners. Their kim chi fried rice and accompanying Banchan table items as well as dipping sauces are a welcoming surprise to eaters.